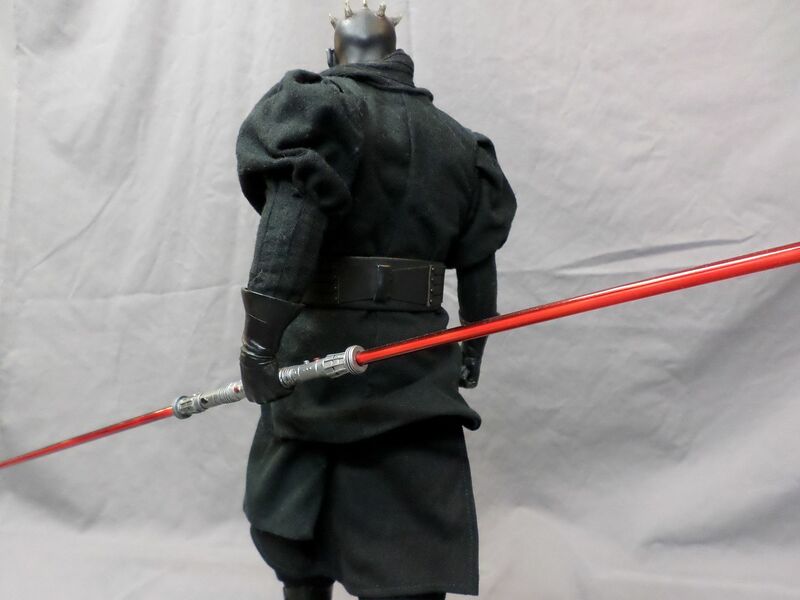 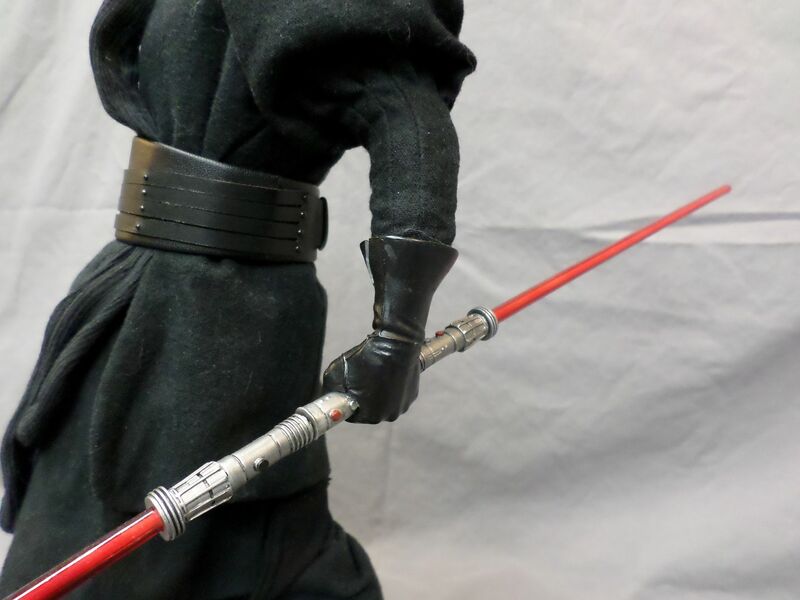 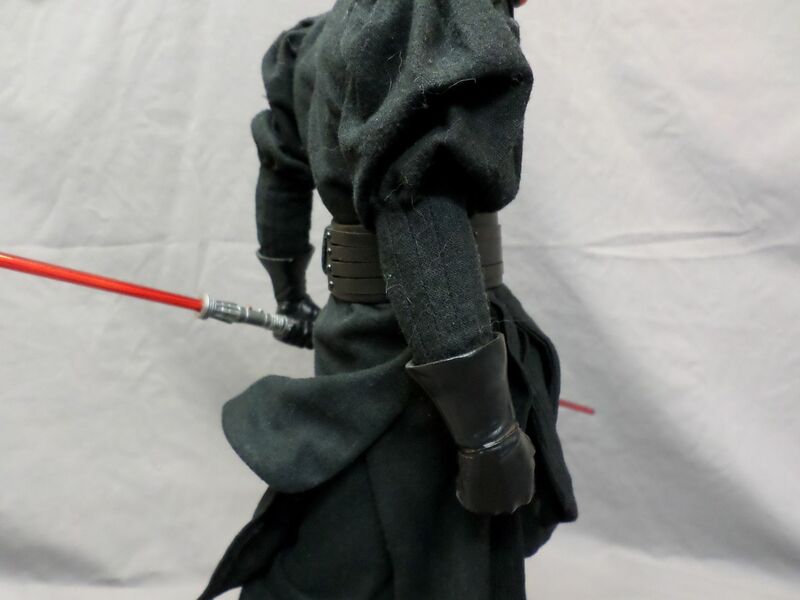 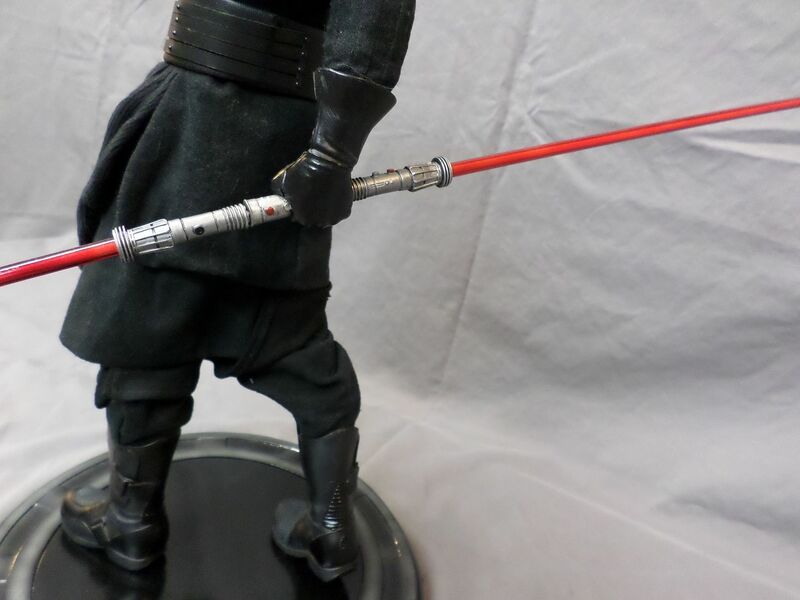 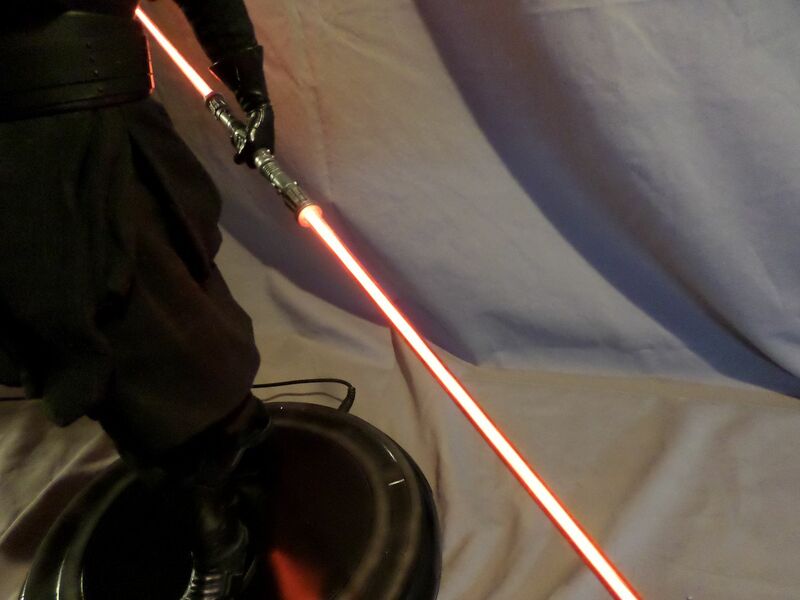 The lower parts of the robes have wires running through them to help with posing. 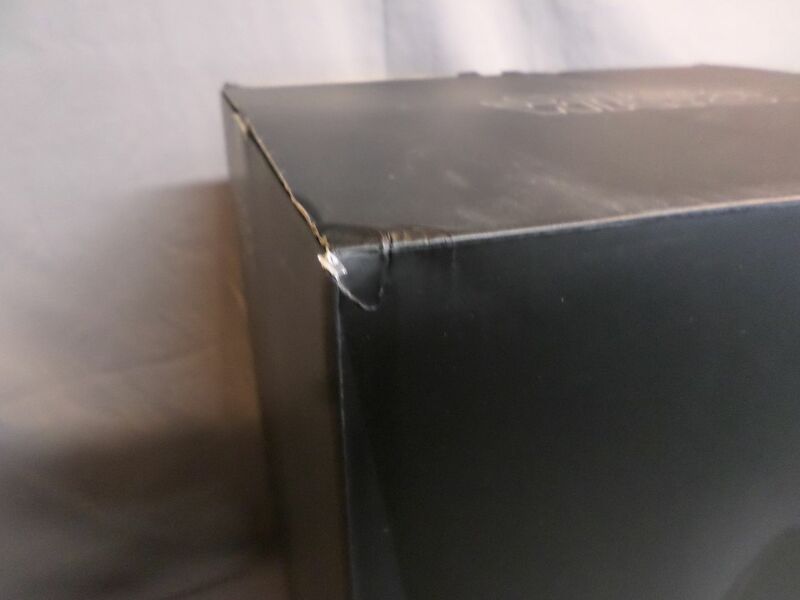 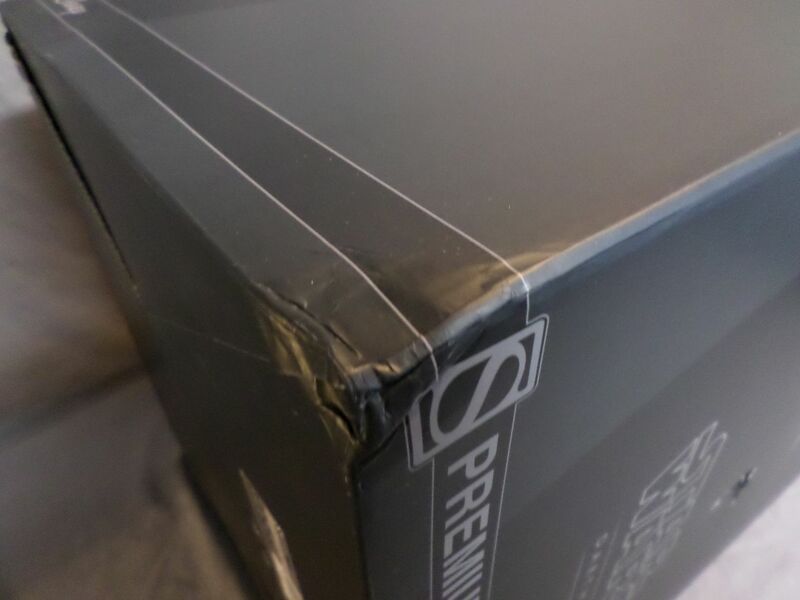 Package was a little worse for wear. 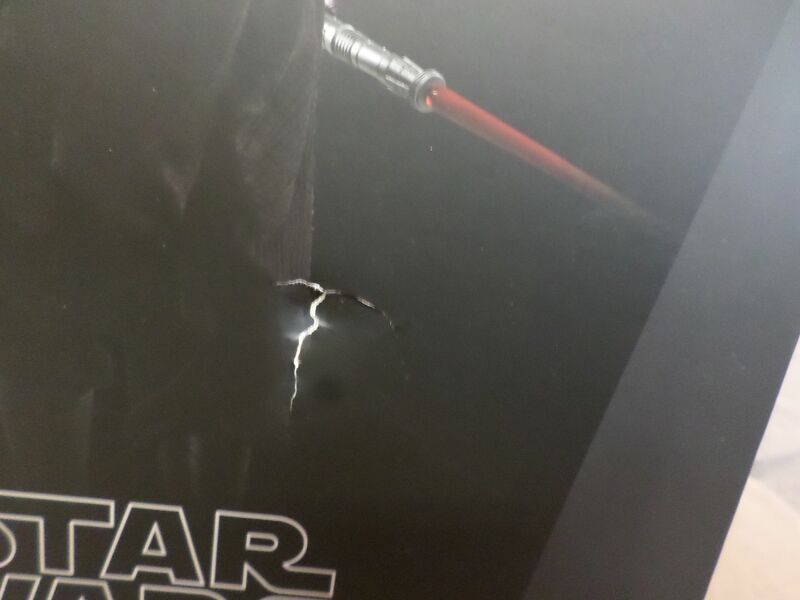 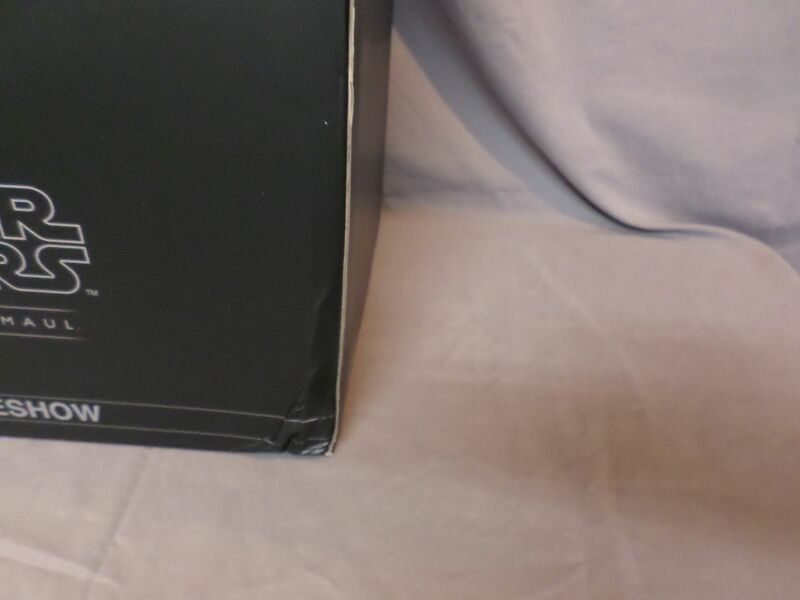 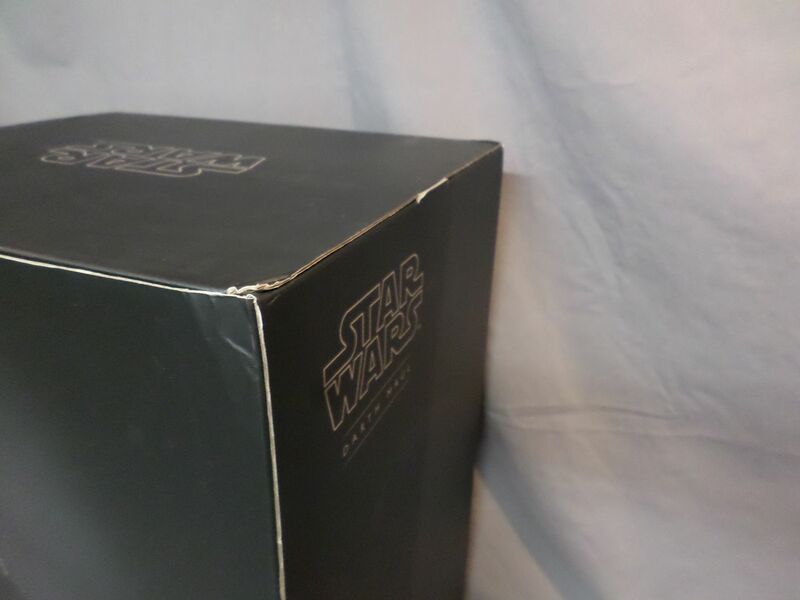 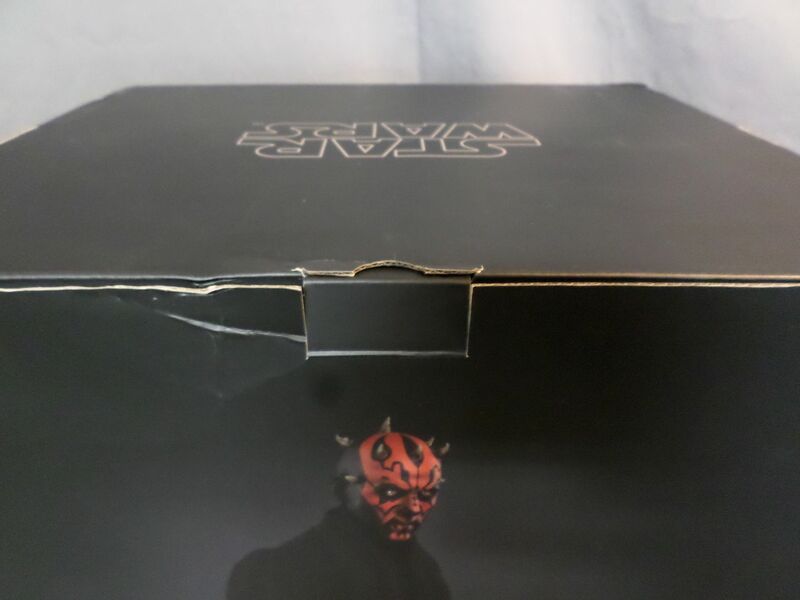 The artbox has dings and dents. 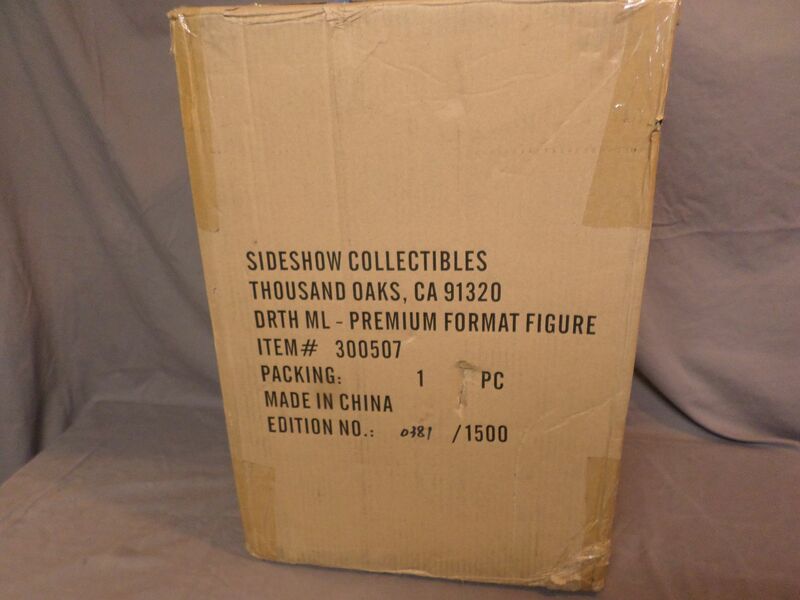 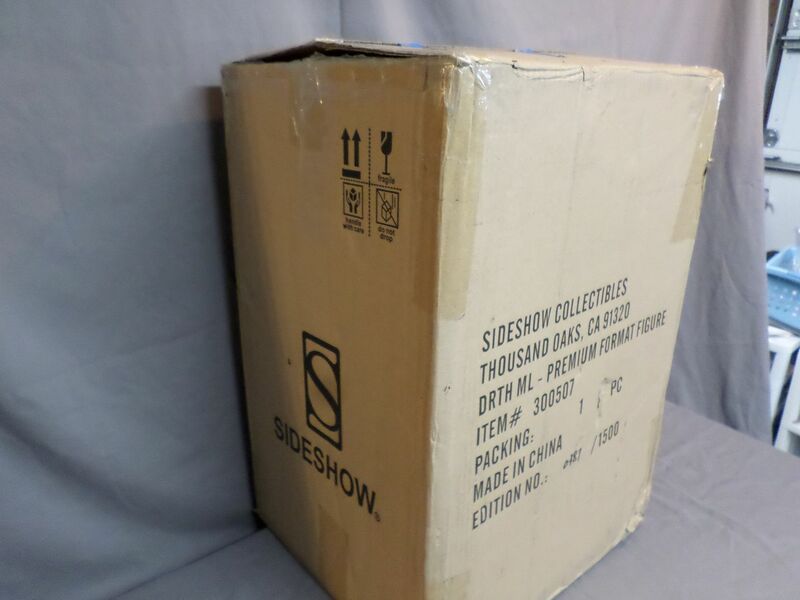 In my other Sideshow statues there are little cardboard elbows to protect the artbox. 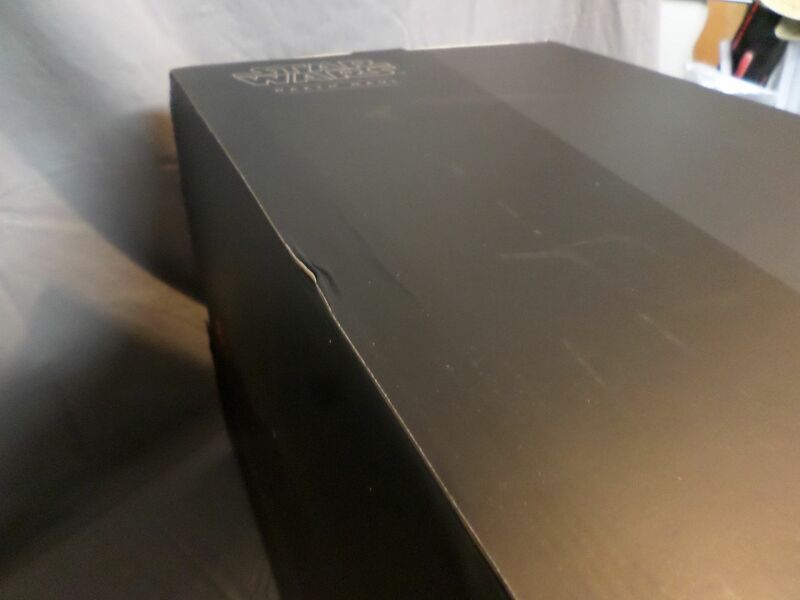 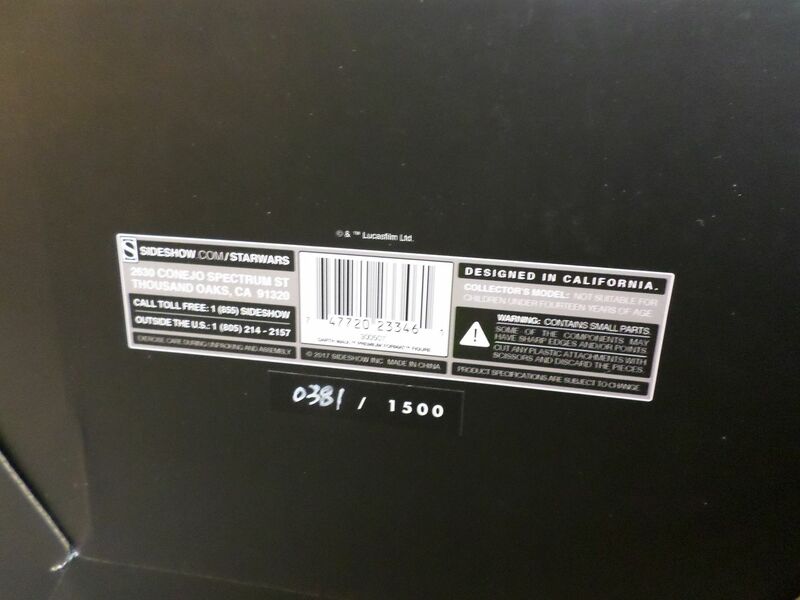 This one did not come with them. 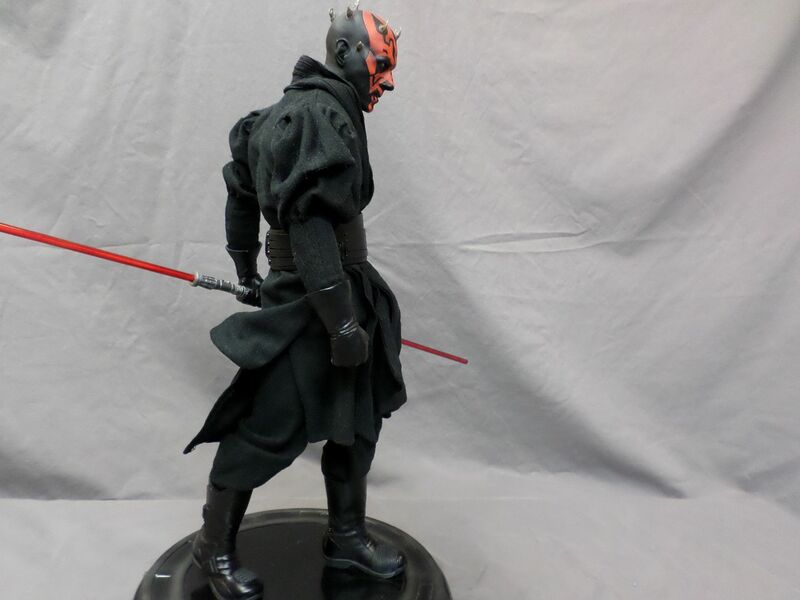 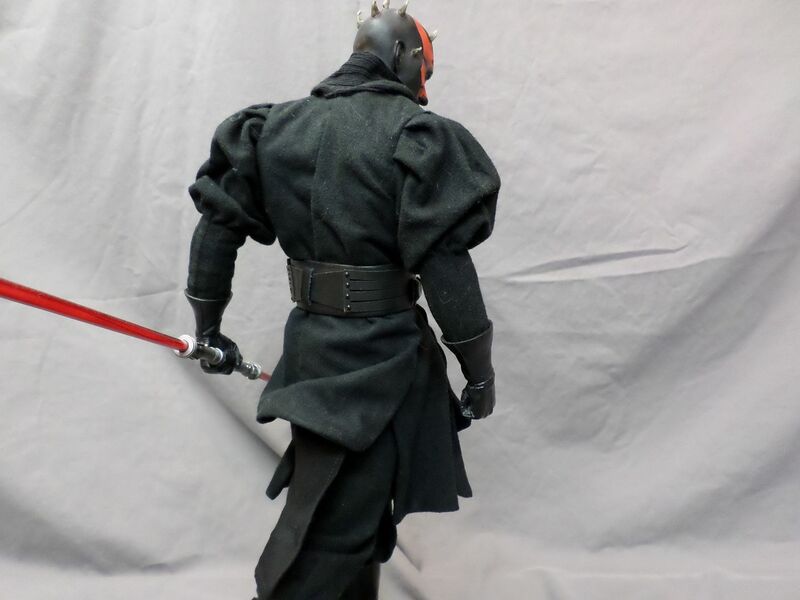 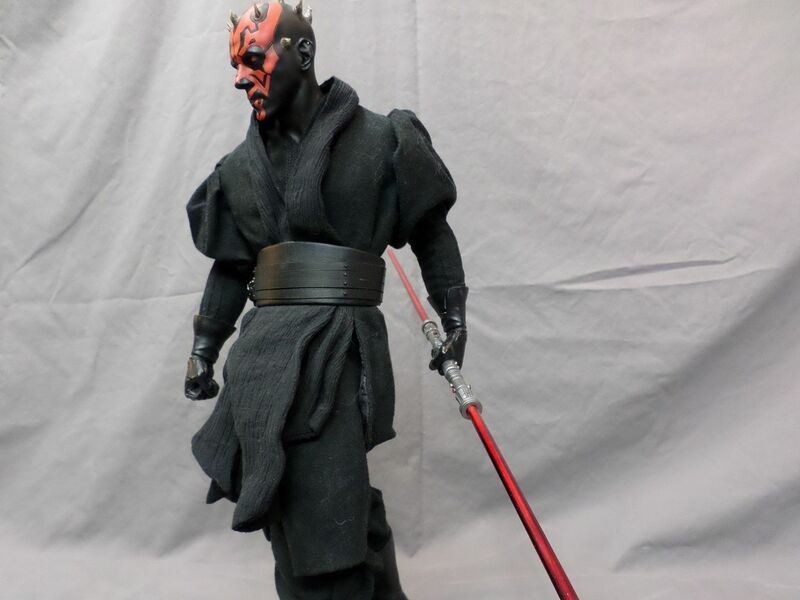 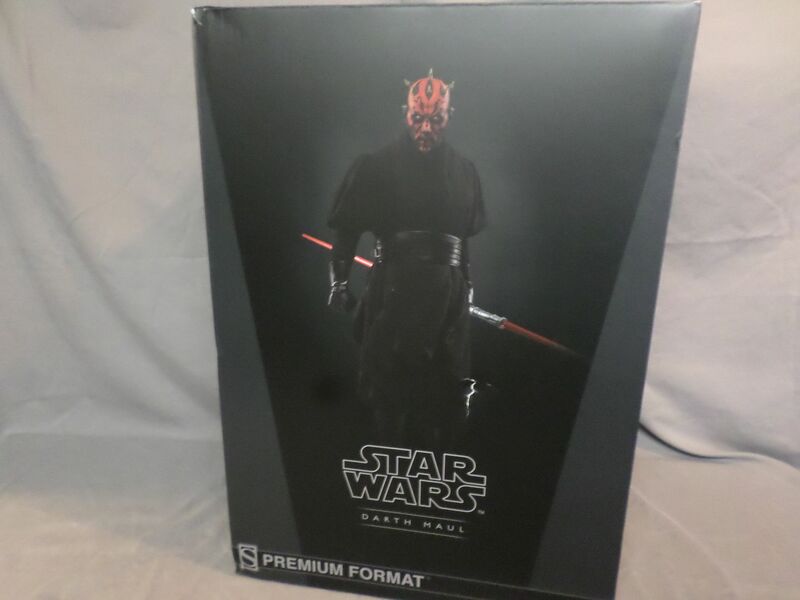 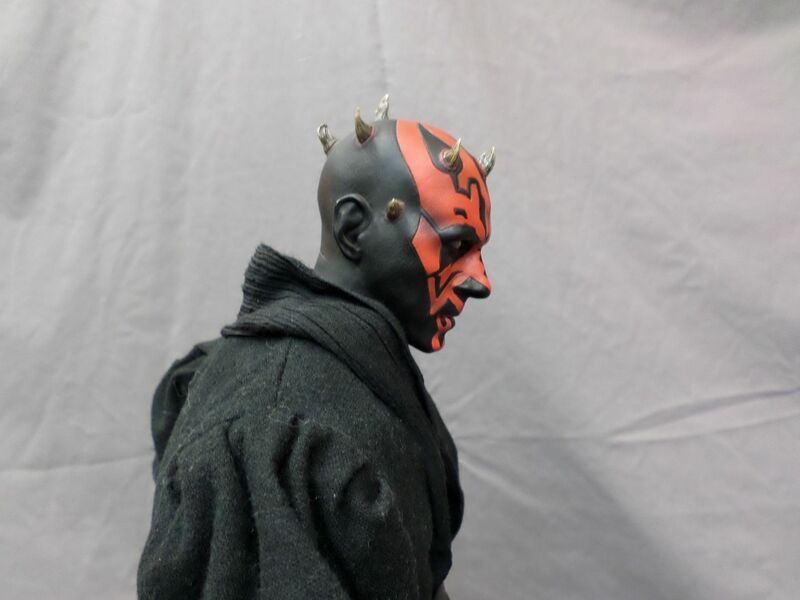 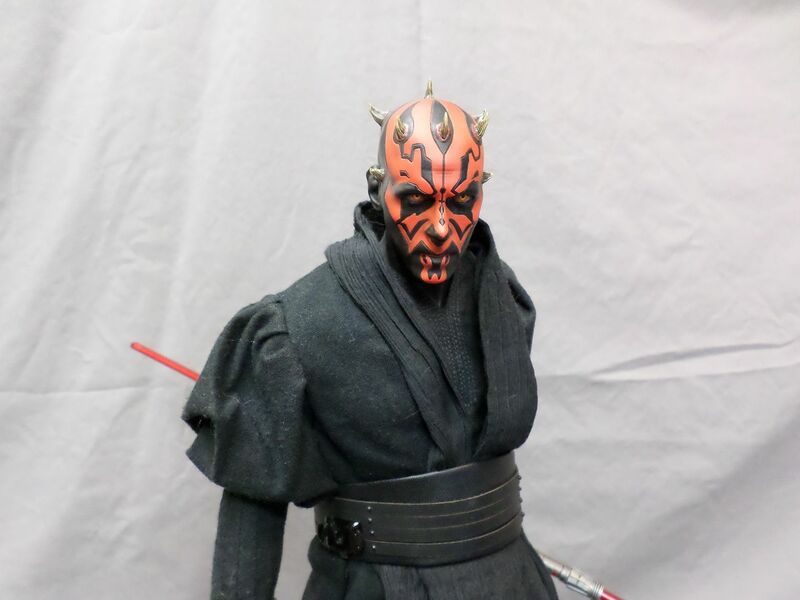 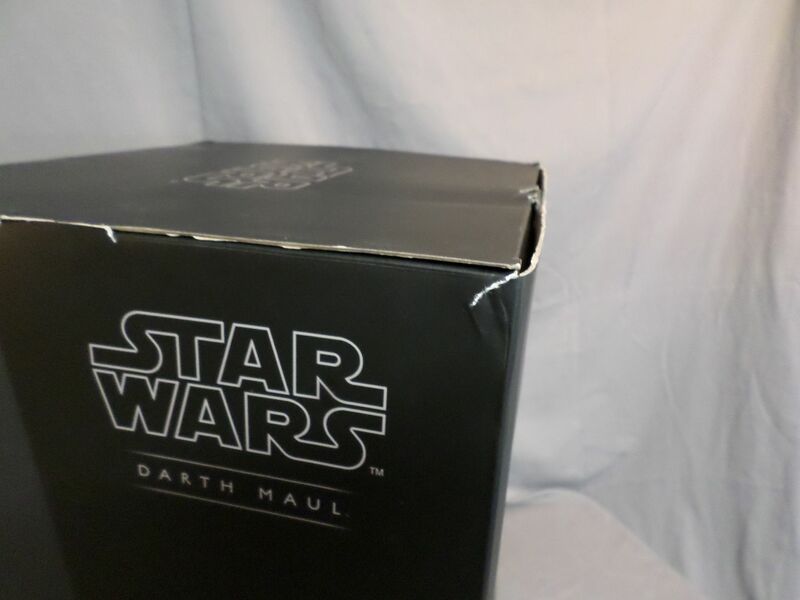 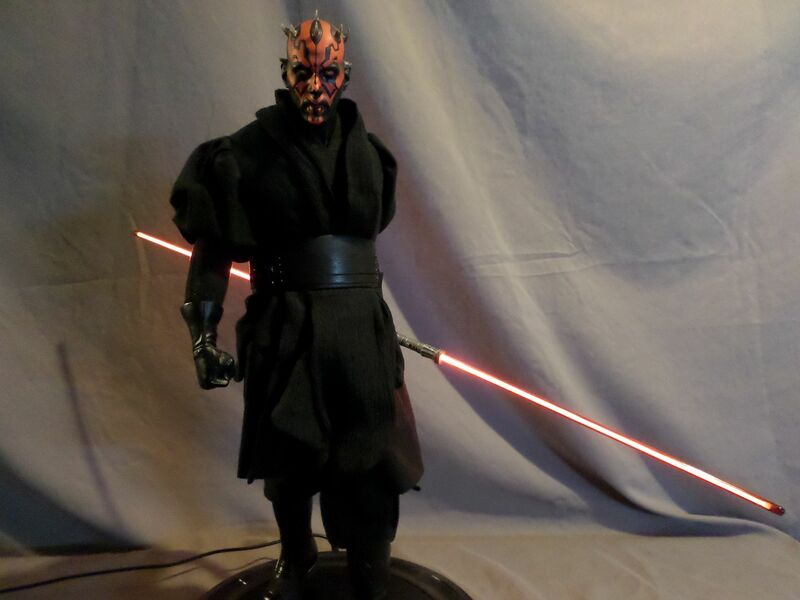 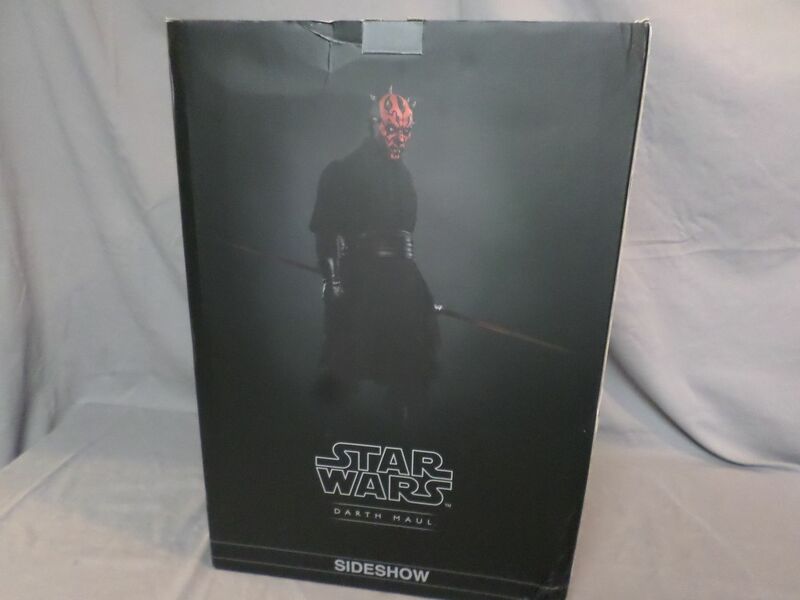 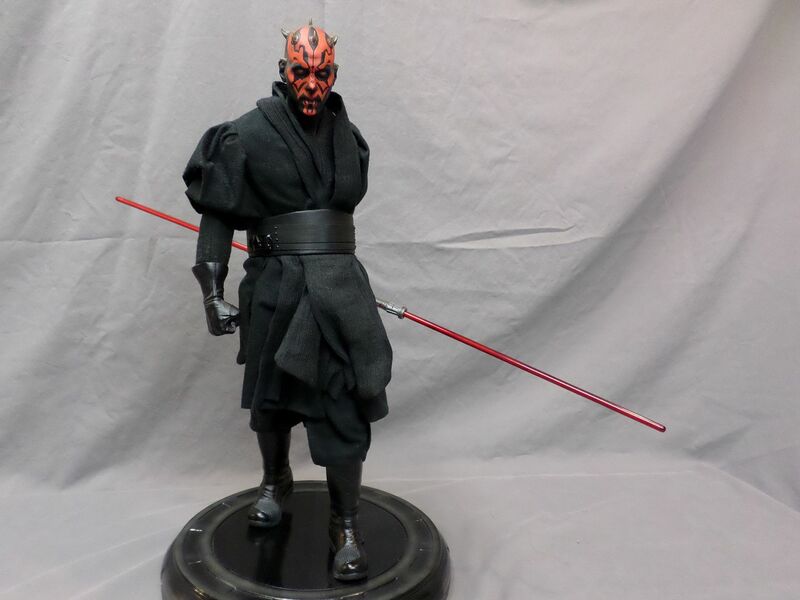 Our Darth Maul Premium Format™ Figure captures the highly detailed likeness of Ray Park as the feared Sith. 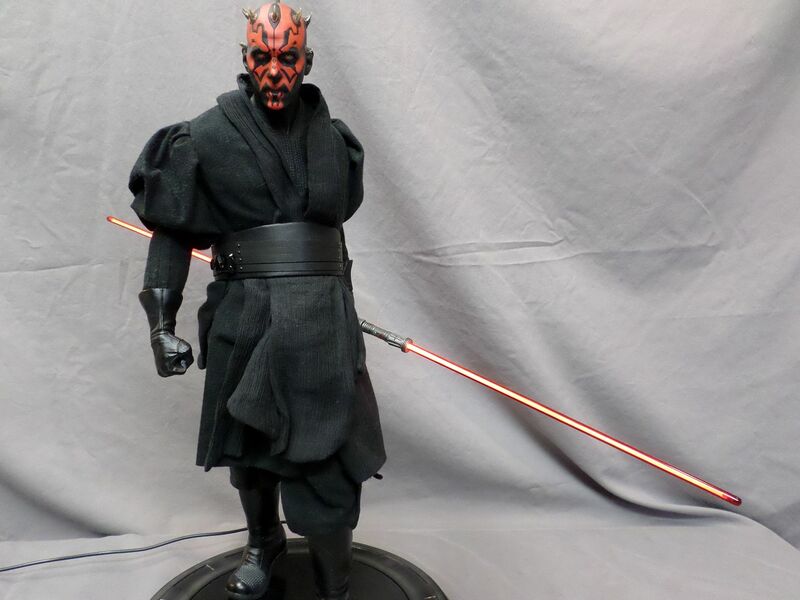 From a tattooed face beneath a crown of thorns, his gleaming yellow eyes pierce onlookers, while his stance - light-up double-bladed lightsaber clenched in hand - is one of absolute power and control. 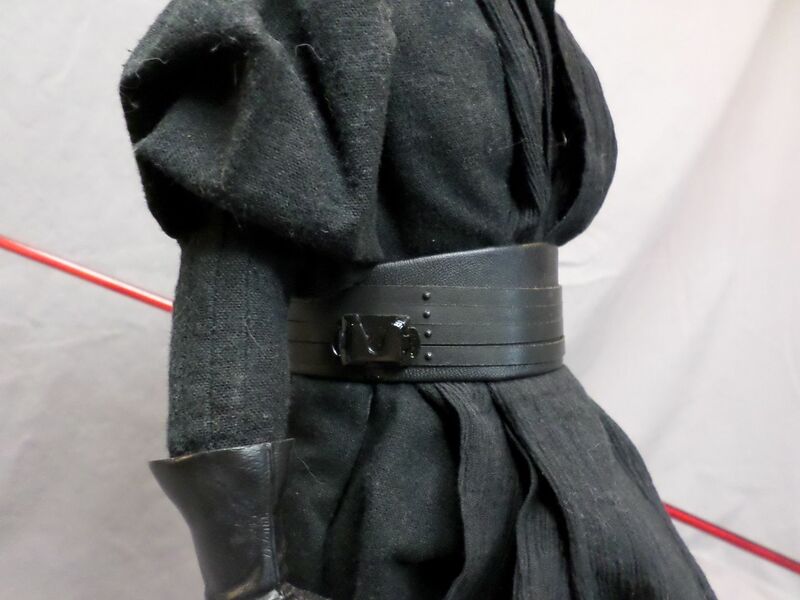 Wrapped in a fabric costume, the piece begins to exude the grace and intensity of this imposing character.